It will come sometime. Some beautiful morning she will just wake up and find it is Tomorrow. Not Today but Tomorrow. And then things will happen … wonderful things. What are your favourite Anne quotes? I’m reading this for my library’s book club this month. I’m 99% sure I’ve never read it, unless I did when I was really young and can’t remember! 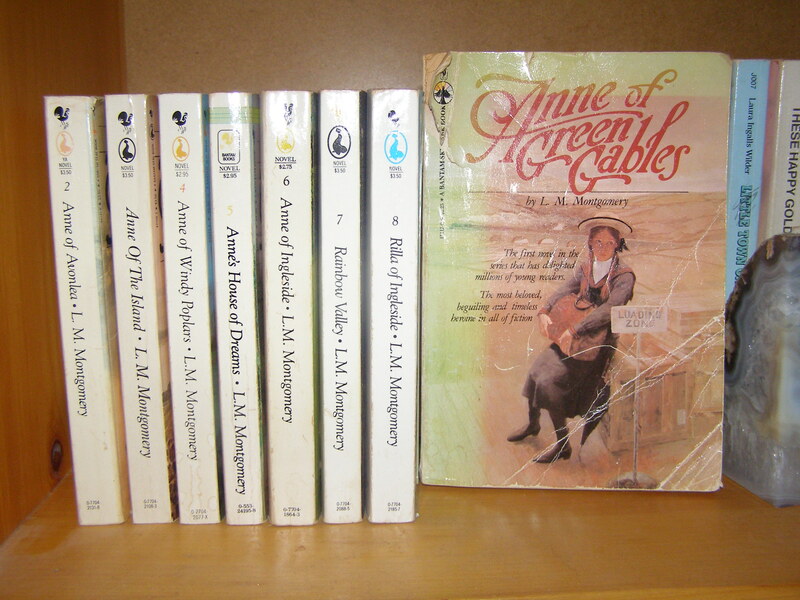 Anne Shirley is just the best. This is making me want to re-read them all! Happy to hear you say so! Love it! Anne’s House of Dreams was one of my favourites. We’re having summers just like that, right? Oh, yes, yes! If you loved the first one, you will love them all. My favourites are Anne of the Island and Anne’s House of Dreams. Oh no, I can’t believe your daughter didn’t like Anne! I wonder if that’s going to be the case with the Hunger Games/Divergent generation. Summer is always the best time of year for Anne of Green Gables, unless or course it is watching the TV version at Christmas! I watched that so often when I was young that I had most of it memorized. And now I can’t picture the characters any other way! Yep, I finished. Loved it. Wanna read it to my kids. What age is it good for, do you think? Mine are probably a little young yet. I’d wait until they are closer to maybe 8 or 10. And, at that age it’s probably better to read it to them if they will let you. It can get pretty wordy, and if you notice them tuning out you can just skip over the lengthy descriptions. I was 12 when I read it on my own, and I loved it.